Her style: bespoke, her mantra: exclusivity and her designs: unique, funky yet classy. Post doing her Masters in Product Design from London, she was happy that she could create whatever she wanted. She loves reading and travelling to newer places, both of which inspire her to create unique designs. “I was always attracted to props, cutworks, shapes and sizes,” says Shivangi. 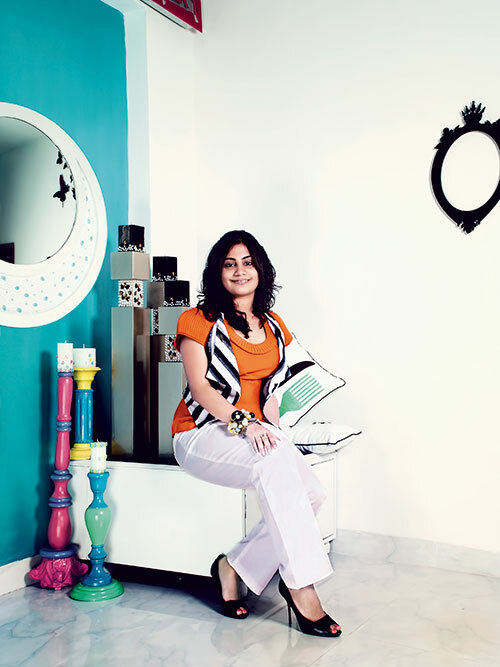 On most days you’ll find her cutting porcelain, fabrics, wood and metal at HiVve, her designing studio at Vile Parle. While Shivangi manufactures and retails out of four stores in Bandra, her collections Chisel and Bling, launched at Asia Design Splendour 2010 at the Bandra Kurla Complex and World Trade Centre, were the turning points in her career. “Bling it on,” she states, on her future plans.